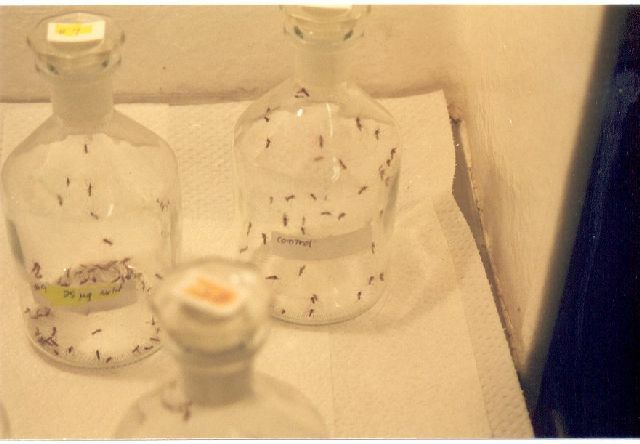 In a collaborative effort with The University of Florida's Medical Entomology Lab, we are conducting long-term field research to predict the flight times and behaviors of female Culex nigripalpus mosquitoes. This species is considered a primary vector of West Nile virus and St. Louis encephalitis in Florida. 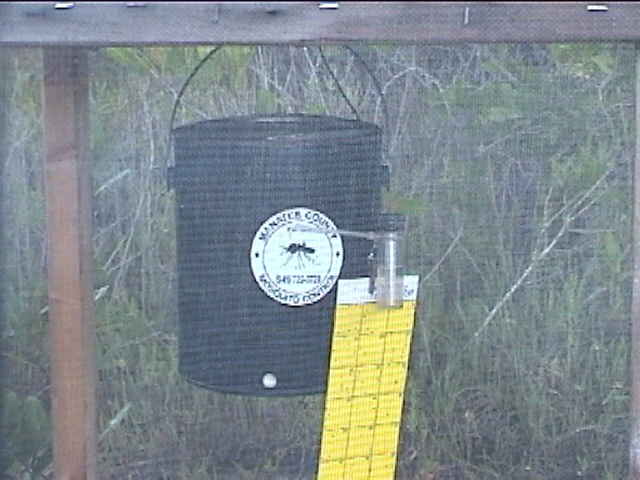 Our research involves trapping for these mosquitoes on a nightly basis with a collection device that allows us to monitor the time periods when the mosquitoes are most active. 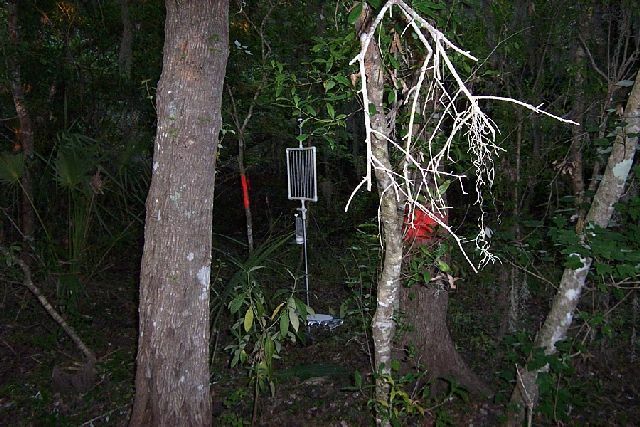 We maintain a constant record of meteorological data (temperature, humidity, barometric pressure, wind conditions, rainfall, and ambient light) at the trapping sites in an attempt to correlate mosquito activity with weather conditions. 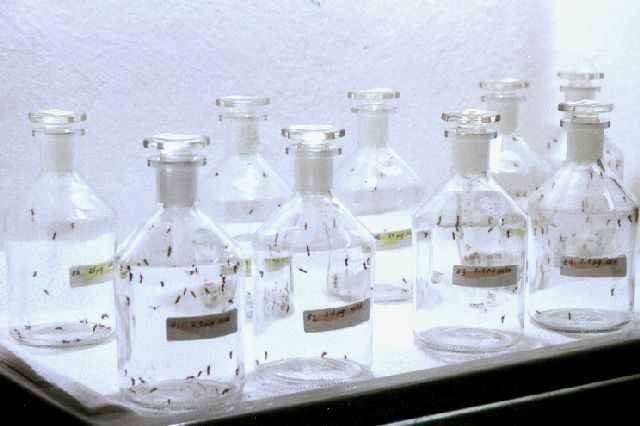 This research will result in more efficient and effective mosquito control techniques because we will have a better knowledge of the times and conditions best suited to target the mosquito. Here are some pictures of our sampling devices. In conjunction with Florida A&M University's Public Health Entomology Research and Education Center, we are participating in research involving the sampling of our spray clouds as they move through the air. Our intent is to establish a clear picture of how the pesticide cloud travels so that we may best target specific problem areas with the least amount of chemical. As part of this project we are testing various sampling devices and determining their relative collection efficiencies. We use spinning plexiglass slides and wire mesh to capture droplets as they drift through an area. 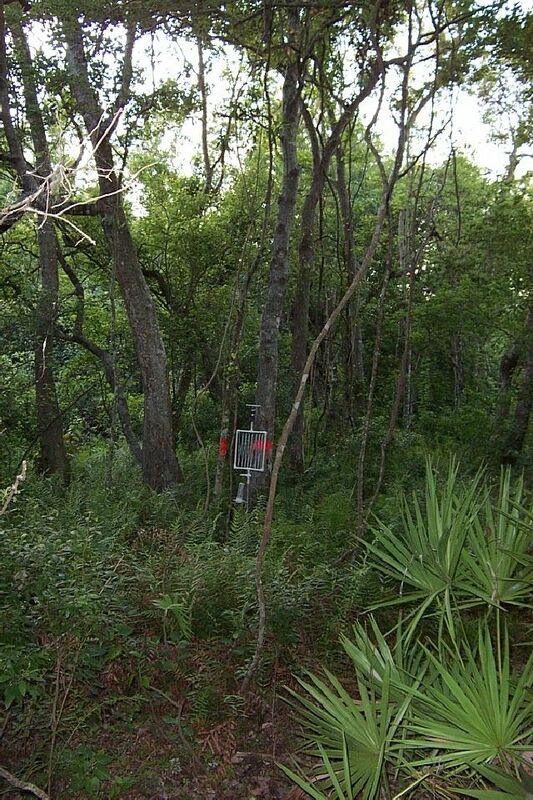 Test sites are set in open areas as well as areas within a forested canopy. 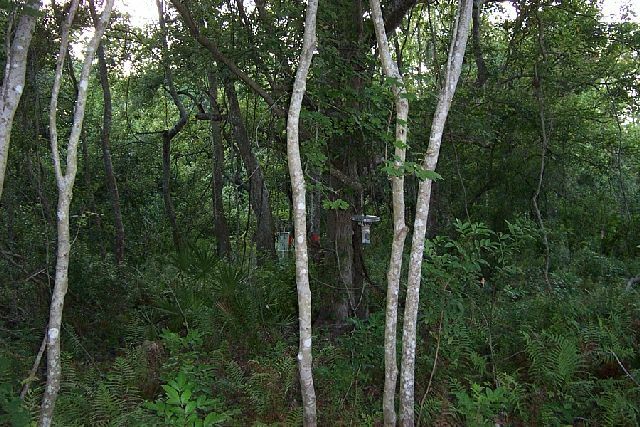 Canopied areas often house particular nuisance and vector species of mosquitoes. 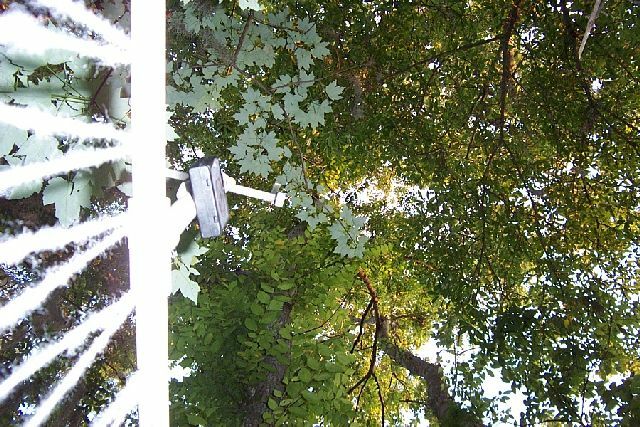 We are examining different variables (such as flight altitude) to determine how to optimize spray cloud penetration into vegetated areas and, consequently, more effectively control mosquitoes. 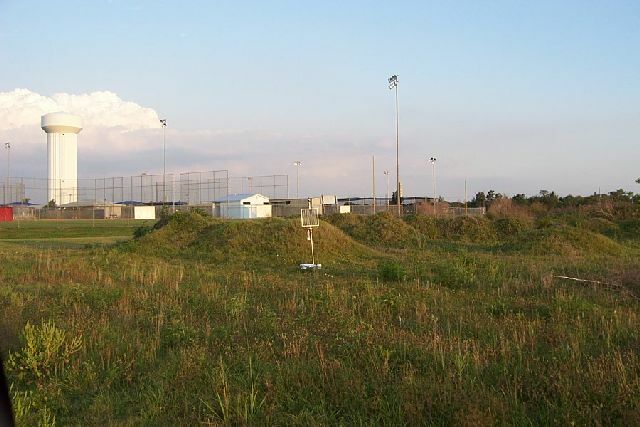 Here are some pictures of one of our test sites and equipment . 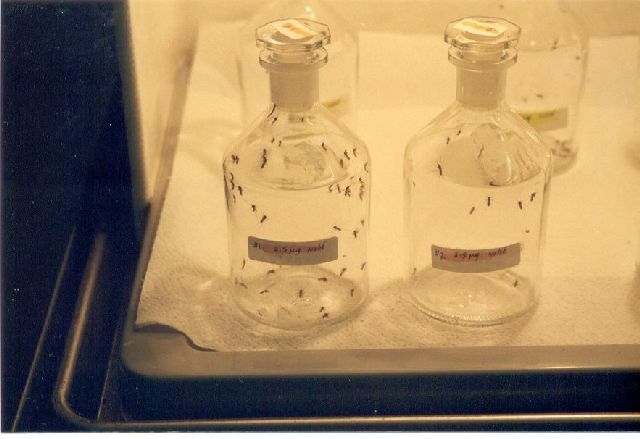 Insecticide resistance is determined using a procedure known as a bottle bioassay. Bottle bioassay tests are performed routinely throughout the year in order to detect resistance if it were to occur. 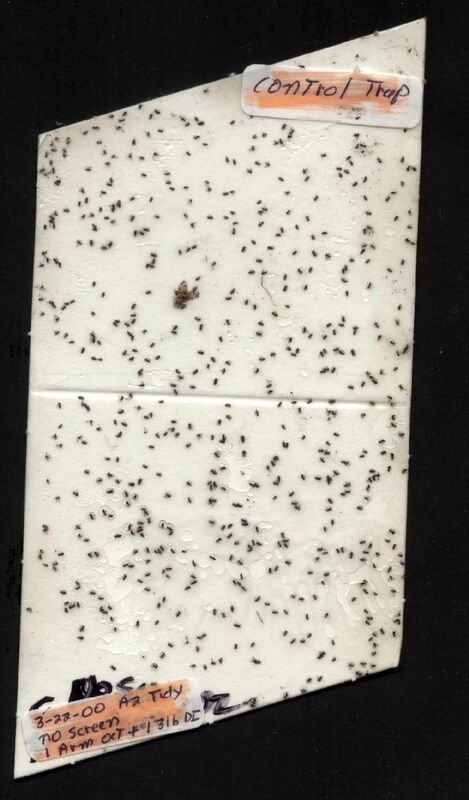 To date no insecticide resistance has been detected. To learn more about bottle bioassay's and resistance monitoring click the links below. 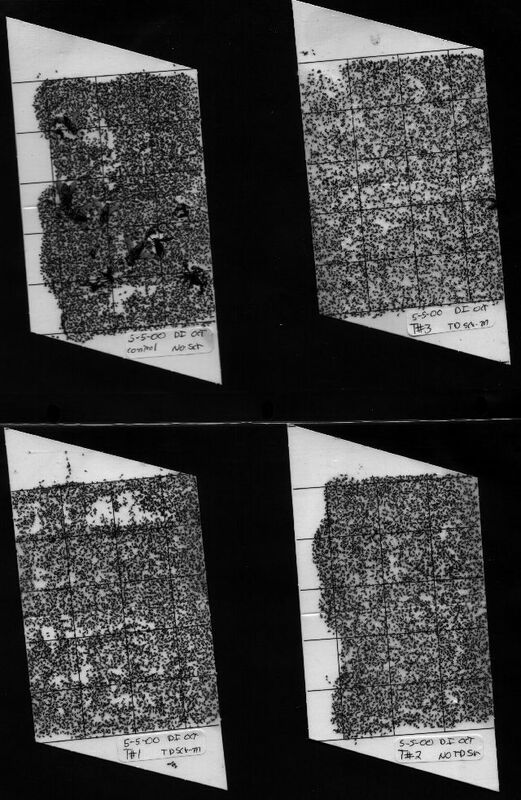 Field evaluations were conducted, as a result of citizen inquiries, concerning how can no see um's be reduced in and around homes. 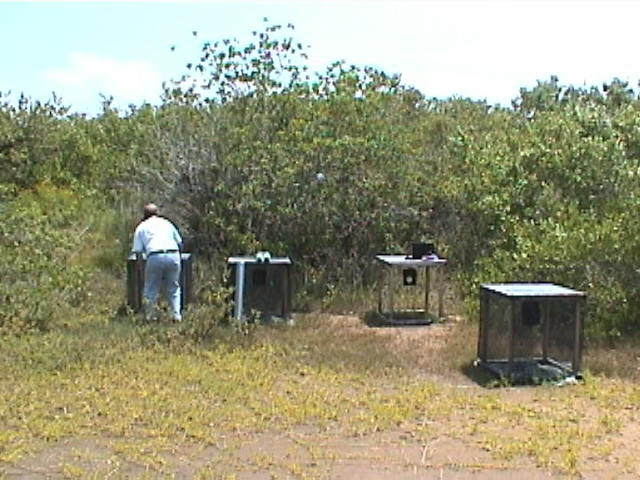 Product evaluation of store bought aerosol sprays that are intended to suppress no see um populations and bites were conducted on Tidy Island salt flats, an area where high no see um populations occur. 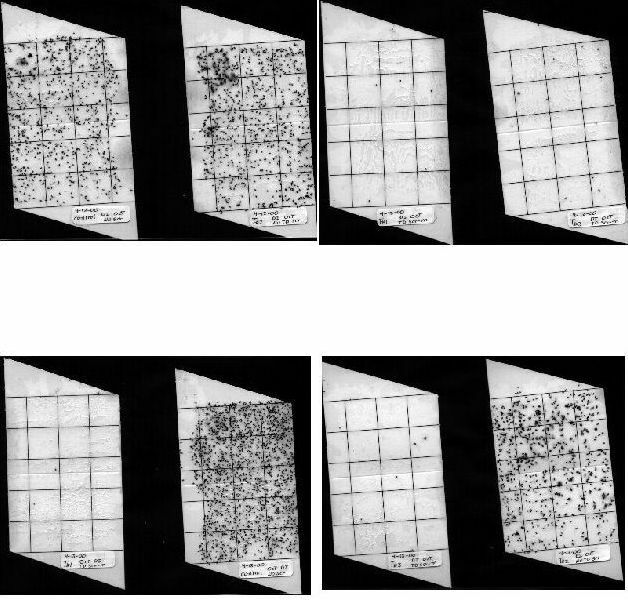 Several aerosol spray can products (all purchased at local stores) were evaluated for effectiveness in preventing no see um's from penetrating standard 16-mesh window screen. For results of this study contact Robert Frommer PhD.